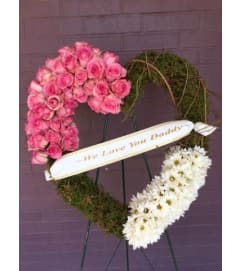 Kim's Kreation - large and luscious designed all around condolence arrangement. 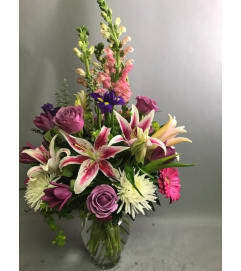 Includes gorgeous Stargazer Lilies, Spray Roses, Birds of Paradise, Bells of Ireland, Stock, Spiders, Iris', top off with Curly Willow. 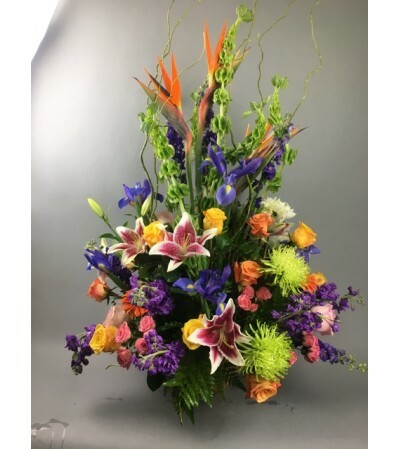 Can be sent to a funeral service or home.